Anybody can stop by between now and Christmas Eve to select and fulfill letters addressed to Santa at the North Pole. CHICAGO (WLS) -- The elves at the Chicago branch of the North Pole need some help granting the wishes of area children. 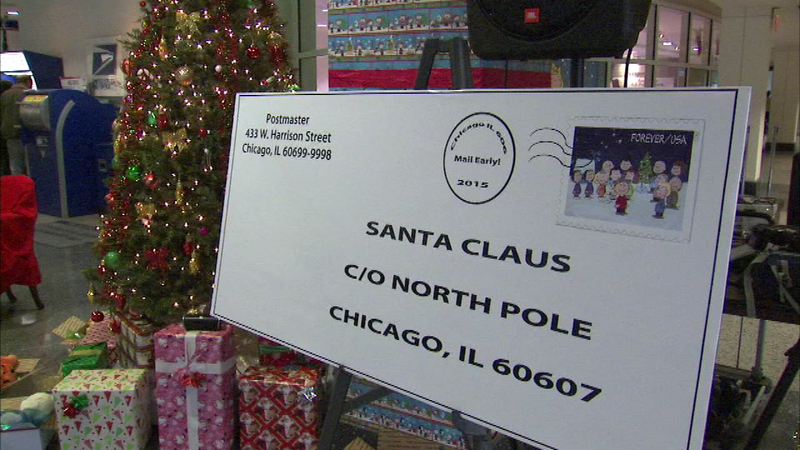 The Chicago Post Office's Operation Santa is well underway. The program urges members of the public to respond to letters to Santa with a letter of their own and one of the items children wish for. Often the children aren't just asking for toys. There are still thousands of letters left to answer. You can pick one up at Chicago's Main Post Office in the West Loop until Dec. 21.